We recently decided to meet up with the UK contingent of our family for a short reunion, but needed a location that was mutually acceptable for all parties. 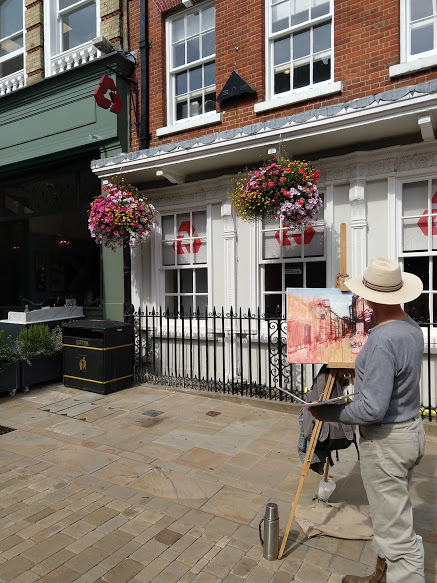 Winchester is steeped in history and very walkable, so it ultimately won the complicated battle of where to stay. It is located in the general direction of our departure point (Gatwick), but not too far from Southampton, where we were disembarking from a cruise. A 30min Uber ride to The Winchester Royal Hotel demonstrated that roads here are one way and circuitous, so having a driver that knew the area was extremely helpful. Driving yourself is not recommended. We fully enjoyed Winchester, though we experienced it in a different manner than we would have otherwise. One of the family members with us had limited mobility, so hotel location was of utmost importance. 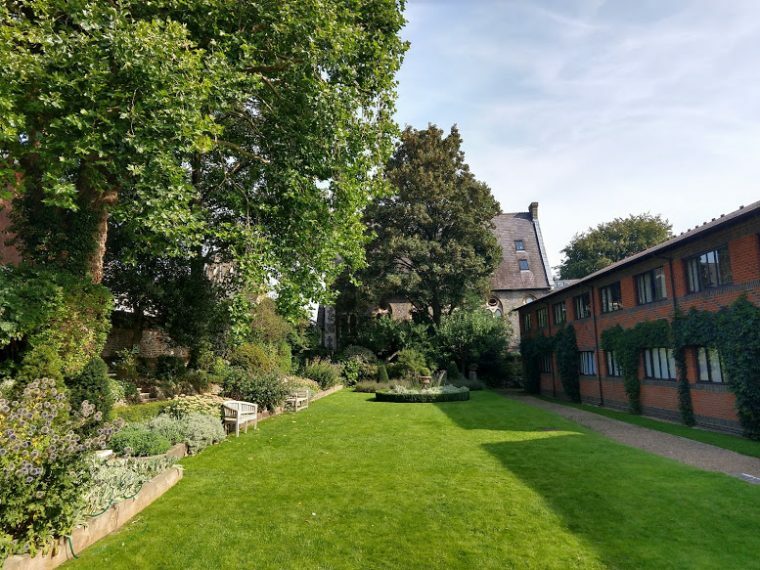 The Royal is close to High street and has a lovely garden in the back, perfect for morning coffee and evening cocktails. The beautiful photos on their website represent an upgraded room with a 50 pound surcharge, and our potential upgrade was thwarted due to the aforementioned holiday. Our very basic room faced a parking lot and required some bread crumbs to find our way back to reception. The town is a wonderful mix of history and contemporary enjoyment. After a quick stop at the pick and mix for some candy (probably the most thrilling part of the trip for my son), the Winchester Castle is 5 minutes further toward the west gate. This castle is one of the more probable locations for King Arthur’s Camelot and has displayed King Arthur’s wooden round table in the Great Hall since 1348. 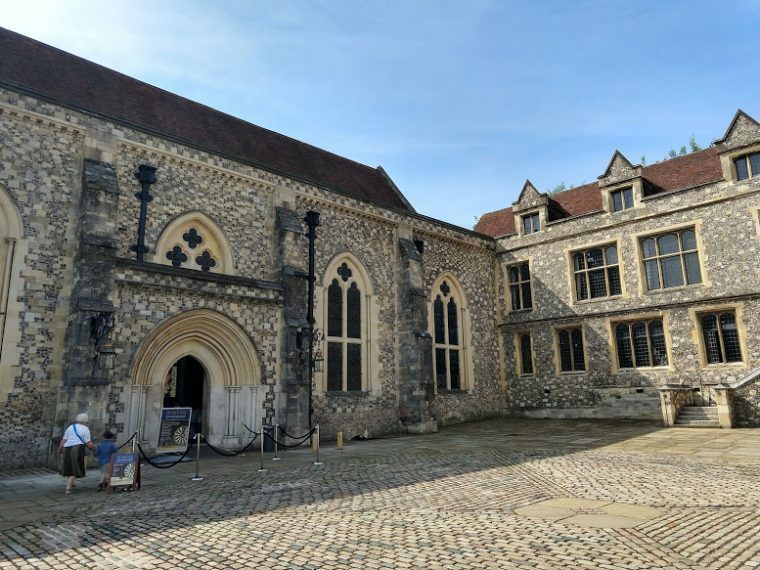 In addition to the beautiful Queen Eleanor’s garden and a museum documenting the history of Winchester, a dress up area and scavenger hunt help children better understand the history of the castle. 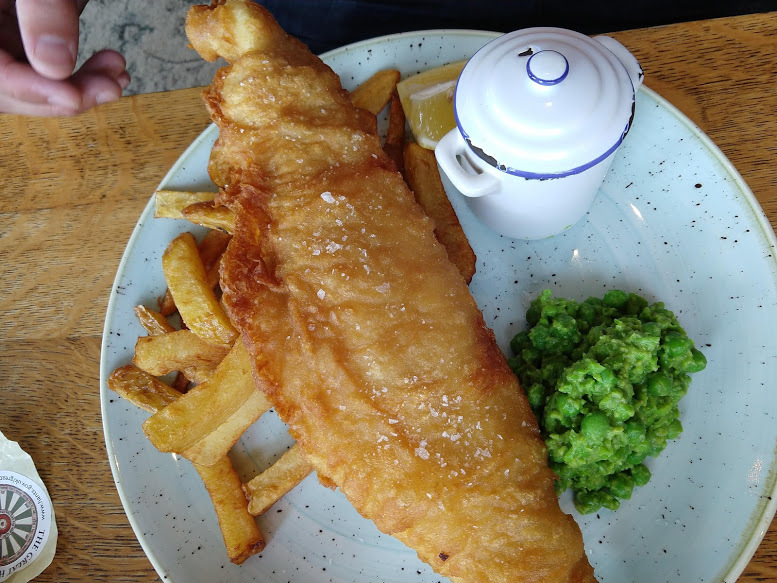 For lunch, we traveled five minutes further to The Westgate, a chic little pub where we ordered nice looking fish and chips and local craft beers in a relaxed setting. This provided the sustenance for a leisurely afternoon wandering along High Street and checking out the local shops. Winchester does not require buskers to have a permit, so you can catch some quality artists along the length of the strip. 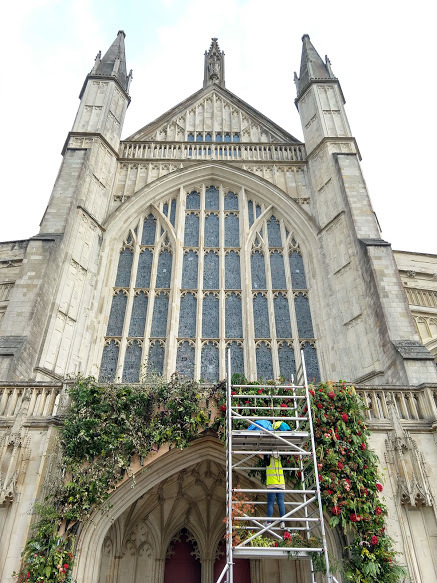 Also worth a wander is Winchester Cathedral, which was setting up for a bible-inspired flower show so we were able to sneak a peek at the gorgeous displays before the official opening. After some time at a rather dangerous playground complete with young ruffians pulling a stray cat’s tail, we returned to the hotel to wash up for dinner. 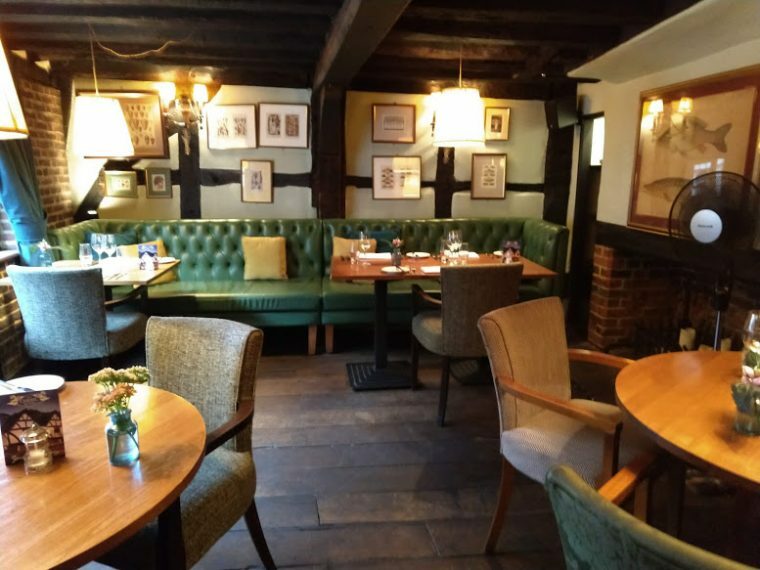 Dinner at the Chesil Rectory is featured updated British with a focus on seasonal/local in a 600 year old Medieval house 10 minutes walk from city center. They offer a beautiful set pre-theater menu which is lovely for adults but had absolutely nothing that my child would eat. We shamefully may have ended the evening at McDonalds, as every other takeaway place was closed by the time dinner was complete. Regardless, walking through the town at night recalled how many ghosts must have walked it alongside us. The next morning began with a full English breakfast at Forte Kitchen, then we hired a taxi to take us the 15 minutes drive to New Alresford to board the Mid-Hants Railway Watercress Line. The preserved heritage steam train runs back and forth along the 10 mile stretch between four stations through bucolic English countryside. 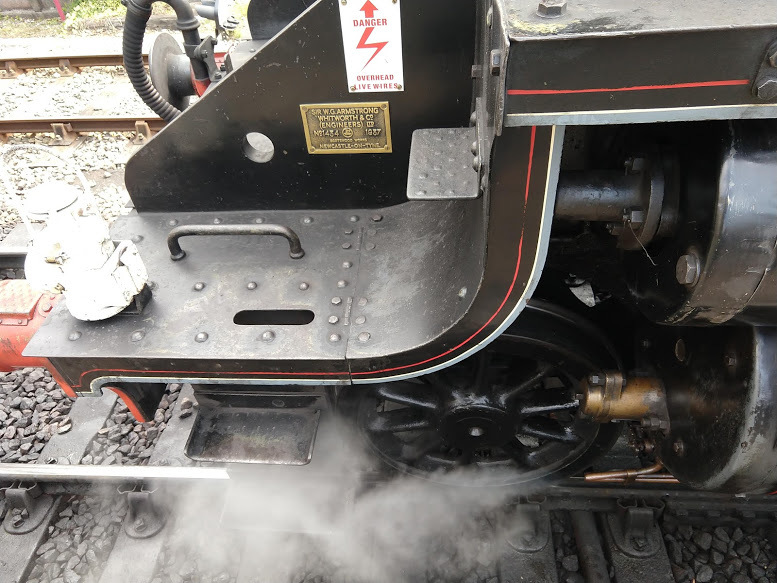 We were able to receive 2-for-1 tickets with proof of return tickets on National Rail, plus we had a free child ticket from the line’s promotional brochure making the entire day cost 32 pounds for 5 people. 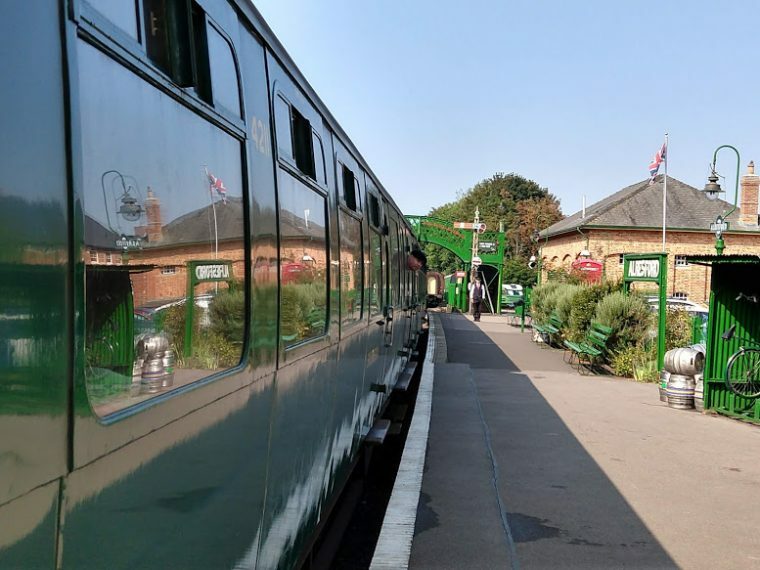 Though you can get on and off as you please, we chose to only get off at Ropley (to see the Kings Cross bridge from Harry Potter and visit Thomas the Tank Engine), ride the remainder of the line, and then return to Alresford. Pack a picnic, as the dining car has beer and snacks, but nothing more substantial. There is a nice picnic area at Ropley if you go this route. Also, schedules vary daily and there may be only one train running on any given day. Be strategic about where and when you get off, or you may get stuck for quite a while. New Alresford is very quaint and “The Nation’s capital of watercress”. 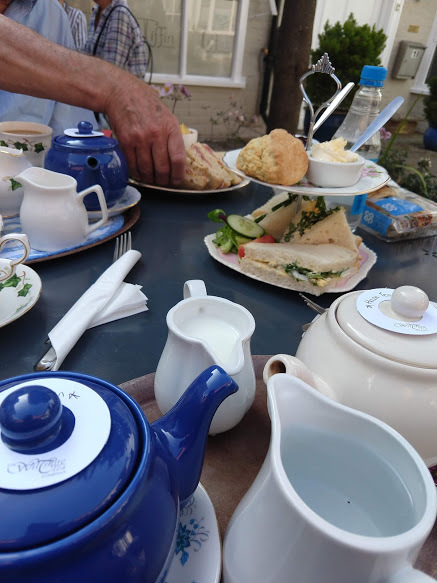 We sampled their wares at Tiffin’s Tea Room during a proper afternoon tea in mismatched china, complete with cream tea, scones and watercress sandwiches (and the watercress here was particularly flavorful!). There are no resident taxi companies here, so we called the company we used on the way out to bring us back to Winchester. A surprisingly tasty final dinner at Loch Fyne featured fresh fish options at a very reasonable price. This branch of the chain also provided an interesting kids menu and activity pack, so it’s a great option if you have kids in tow. Wednesday is market day on High Street, so we gathered a picnic for the 1.5 hour train ride to Gatwick before saying goodbye to the family. Train tickets ended up being much cheaper than Uber due to surge pricing on the bank holiday. Our four year old traveled for free so the two adult train tickets from Winchester cost about 70 pounds total, versus 140 in an Uber for the same duration of trip. Though the ride was fairly easy, Brighton might have been an easier choice as it is located on a direct train to the airport, though a longer drive from Southampton. However, Winchester is highly recommended if you are interested in a short trip out of London, offering a good mix for all ages. So glad you enjoyed it……… you asked for interesting and character, and Winchester had that in spades!